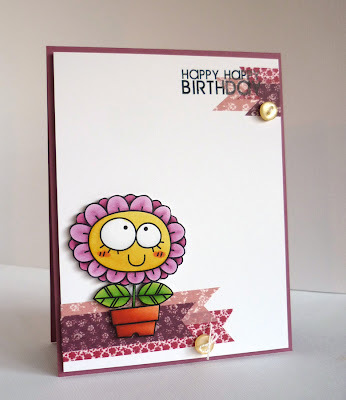 Alice sent me a couple of links to her beautiful cards using Birdie Brown's images. I LOVE her simple and cute style! And her coloring skill is stunning, isn't it? 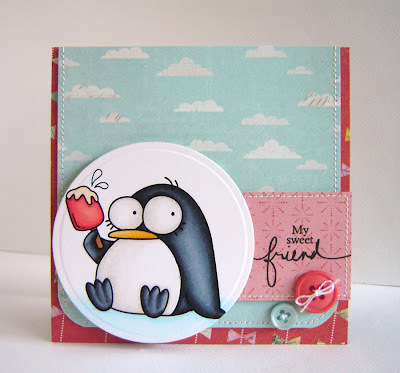 The images she used were Penguin In Summer 01 and Hearts Sing set. Please visit her blog to leave some love for her! Wow, these are just fabulous, love them!